We have been eating salmon like there is no tomorrow, well maybe a bit of an exaggeration, but nevertheless we have been eating a lot of salmon. Today I have two recipes that are completely different from each other. One in which the salmon is poached with roasted garlic (mellow) and the other which is grilled and then topped with a compound butter (intense). Both of these recipes are from Giada de Laurentis. The first dish is rotini pasta with salmon and roasted garlic. Preparation begins by first roasting two heads of garlic. (When roasted, garlic becomes soft and mellow in flavor). Next a broth is made by combining chicken broth and Marsala wine. One head of the roasted garlic cloves is mashed into the broth and simmered about 4 minutes. Then the salmon is cut up into cubes and poached in the broth. The dish is completed by adding the pasta; the other head of garlic cloves, fresh rosemary, lemon juice, zest and capers. The end result is delicately cooked salmon with pasta that is great for entertaining or an every night meal. This recipe has been slightly adapted from Everyday Pasta by Giada De Laurentiis. Cut the top 1/4 inch off the top of the head of garlic to expose the tops of the garlic cloves. Place on a sheet of foil. Drizzle with 2 tablespoons of the olive oil. Fold foil up and around the garlic, then fold edges to seal and make a tight packet. Roast until soft about 60 minutes. Let the garlic cool slightly, then squeeze the cloves out of the skin. Mash half of the roasted garlic. Set aside. Bring a large pot of salted water to a boil. Add pasta and cook until firm to the bite. Drain. In a large heavy skillet; combine Marsala and broth together and bring to a simmer. Add mashed garlic and stir to dissolve. Simmer uncovered for 4 minutes, then add the salmon, cover and simmer 4 more minutes. Remove from heat, add the remaining garlic, lemon juice and zest, rosemary and cooked pasta. Stir to combine. Add the remaining 2 tablespoons of olive oil and capers. Season with salt and pepper to taste. Serve immediately....Enjoy! The second dish is grilled salmon with sun-dried tomato butter. Here the salmon is grilled with a little salt, pepper, dried oregano and olive oil. (I used the sun-dried tomato oil in place of the regular olive oil). It is served with a small pat of sundried tomato compound butter which was easy to prepare. Basically just sundried tomatoes, butter, dried oregano, salt and pepper. Such a simple and incredibly delicious meal. This recipe has been slightly adapted from the Food Network by Giada De Laurentiis. Add butter, sun-dried tomato,oregano, salt and pepper to food processor. Pulse until sun-dried tomatoes are finely chopped. Form into a log on a piece of saran wrap or parchment papper, creating a cylinder. Twist the ends and freeze at least an hour before dinner. Sprinkle both sides of the salmon with salt, pepper and oregano. Drizzle with sun-dried tomato oil. Grill about 3 to 5 minutes on each side until cooked through. Serve with a pat of compund butter on top. Enjoy! i used to love it on the broiler, brushed with terryaki sauce. but i burned out on it. it's a good one to eat, though. Thanks Theresa, that sounds good too! Thanks Ritu, we enjoyed both versions. Take care! 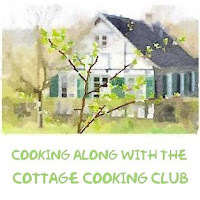 Thanks Nee, I just read your post with the lovely salmon and morels, loved it! Both of these look absolutely delicious! I always love new ways to prepare salmon. It's definitely one of our favorite seafoods. Hi Chris, yes it's one of our favorites too. Take care! I think both recipes sound delicious. Salmon is so good for you and tastes so good too!! I love that this can be prepared in so many different ways. Thanks Suzanne, love the salmon tikka that you had posted on your site. Cherry I have never made poached salmon so looking forward to trying out your recipe!! Both sound delish! Thank Ami, we enjoyed the salmon both ways. I am finding out that there is so many ways to prepare it. Two very delicious sounding recipes. I happen to love salmon nearly as much as trout. Yet I don't eat either as it's just not possible to buy same day caught fish where I now live. You'll have to enjoy them for me! Oh, I left you a link for the baking tray I was using. Hoping you received that okay. Hi Johnny, yes, I did get it, thank you, that was so thoughtful of you. Trout is one of my favorites too! These both look wonderful, Cheri. I love Giada's recipes and you make yours look delicious and accessible. Anything with roasted garlic...yum! Hi Dena, I have had roasted garlic before and had forgot about how magical it is. Have a great week! These look really nice Cheri, both versions seem to be quite tasty. I like the compound butters in the summer months especially. Thanks Peggy, I can't decide which version I like better, I guess it depends on whats going on that day. Yes please to both Cheri! I imagine the sun-dried tomato oil adds depth to the fish. And garlic makes anything better! Hi Kim, you are so right. Hope you have a great week! I would love both of these recipes. That compound butter sounds great with the sun dried tomatoes. Very nice! Hope you're having a great week. Thanks Tricia, we did. and yes having a great week. Take care! I love both recipes! So hard to decide now! Thanks Marcela, thats what we thought, they are both good in there own ways. Both the mellow and intense recipes are scrumptious! Salmon is my favorite fish to cook with and both ways look and sound delicious! Perfect dishes for summer! Thanks Kelly, it's my favorite too. Take care and have a great week! Whoa! That's a hell of a LOT of garlic, girly, but I trust you. Both dishes look delicious. It's salmon for dinner tonight! Hey Coco, I know it sounds like a lot but garlic really mellows in flavor when it is roasted. Have a great week-end! Lucky you to be getting all that fresh, fresh salmon! Really like both of the dishes, but I have a weakness for salmon and pasta, so that's what I'd make first. ;-) Thanks for these. Hi John, yes, there is nothing like salmon and pasta. Take care! Oh salmon is a favorite of ours here in the PNW and around our house. I would like to try both of these dishes. I have made one similar to the pasta dish and we love it. Thanks Mindy, the PNW has the best fish, I love it here. I love salmon and these look delicious, so much!! Thanks Gloria, salmon is my favorite fish! Looks delicious.....kudos to the chef! I am the salmon fan too. That grilled salmon looks so good! Hi Angie, the grilled salmon would be good with your white asparagus. Take care! Both of these look amazing! I love these salmon ideas as I'm always just roasting or broiling it. My son loves salmon so it's the main fish we serve up around here. Hi Monica, that's usually what I do too, salmon is just plain good no matter what you do. Take care! I love salmon, but unfortunately not everyone in my family shares my feelings. If they did, I'd love trying both of these recipes! My daughter to this very day still does not fish of any kind. But my granddaughter does. Thanks Charlie, the garlic was so delicious roasted like this, it would be great in mashed potatoes as well. Both of these sound AMAZING. Super different flavors, but proof that salmon is such a versatile fish! Thanks Joanne, you are so right, it's one of my favorites too! I can't decide which one... looks like it's both of them! I love that you made 2 totally different dishes too! Thanks Pamela, they were both good in there own way. 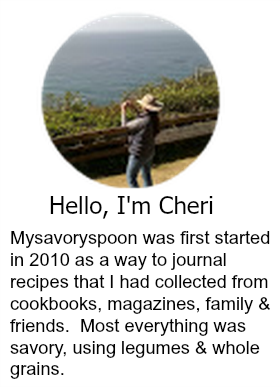 I'll bet you get some wonderful wild-caught salmon there in the PNW, Cheri! This dish sounds amazing with the roasted garlic and pasta. I have to try it! Hi Susan, the garlic takes on a whole different flavor when roasted, kind of mellow and nutty. I am going gaga over there - probably because A. my favorite food on the face of the planet is salmon and B. I am hungry and want food now! Thanks Gigi, salmon is my favorite too! Thanks Nancy, salmon is my favorite. I'm choosing the grilled salmon! Looks delicious, Cheri. Great idea to use sun dried tomato oil. Thanks Barbara, it was delicious! Both of these dishes sound like something I'd order from a restaurant menu. Really. Especially the first one. What a wonderful idea to squeeze roasted garlic into the sauce! I'll definitely remember that one. Hi Helen, for years I have been cooking salmon the same way, a little rosemary, garlic, mustard and olive oil. Finally last year I started cooking it different ways...... to my husband's relief. When you said roasted garlic, chicken stock and marsala wine my head started turning around like the Exorcist. I cannot wait to make this but I'll admit I want both ways. Oh my! I love both these recipes and I'm laughing at Maureen's comment because I did exactly the same thing! I've never thought to have roasted garlic with salmon but what a fabulous combination! Both of these dishes are fantastic, Cheri - thanks so much. I'll let you know when I make them - so excited!! Hi Robyn, please let me know what you think. Take care! I love salmon and these recipes both sound great, and now I have new ones of making salmon dishes. Thanks for sharing! Hi Pam, salmon is one of my favorites!! Take care! Oh my goodness, roasted garlic? Salmon? These two dishes look fantastic! Hi David, I know the butters are good with steaks and other grilled meats also egg dishes and veggies. Take care, hope you have a great week. It seems like everyone is making salmon these days. I seriously need to go out there and buy some! Hi Cathleen, salmon is my favorite and it is so good for you! Hi Karen, I have kind of been in a rut, so I made a choice to try different recipes this summer. Take care! Hi Liz, I do the same thing, made a conscious effort to change it up this summer. Thanks Tandy, so far we have been very lucky...the last 2 years salmon was very hard to purchase as those 2 years had been very lean. I appreciate the fact that they keep track of things like that. Hi Mike, if you do try one of these recipes please let me know what you think, take care!! I really love salmon- I guess I could say that I've always been eating salmon like there's not tomorrow either! haha..... your two recipes look amazing, I'm sure I'd love both! I normally just pan fry salmon cutlets without much adding much flavouring and love it like that anyway, but your grilled version with sundried tomato butter sounds super enticing! Thanks Von, usually we eat salmon the same way every time....I decided this year to mix it up!!! I'm always looking for new recipes for salmon, Cheri. Thanks so much for giving me two! I especially like the flavors in the grilled recipe. I will have to try that this summer. Hope your summer is going well so far! Thanks Shari, I hope yours is too, wondering if your house is done by now....I know just a renavation on ours took forever. I would be hard pressed to choose. These both are right up my alley! I guess I better buy some salmon soon! Thanks Monique, you are so kind.